The original 1950s entrance wasn’t accessible to all. The route to a new entrance contains a flight of stairs, also not accessible to all. Since that post I met with a representative of the building owner as well as Eddie Roth, Director of Operations in the mayor’s office. 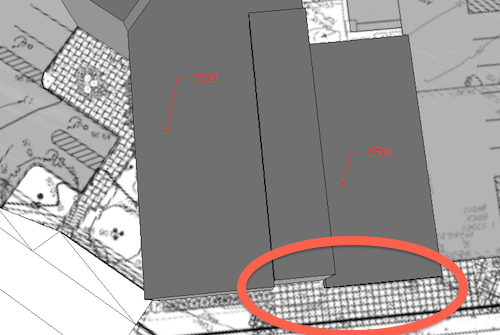 A drawing on the building website shows what should’ve been built, the private sidewalk from the space next door was supposed to be continue in front of the original entry, eliminating the steps. Here’s the original entry again with the new sidewalk next door circled in red, the walk to the original entry is also newish concrete. Here’s the view next door looking toward the old entrance. 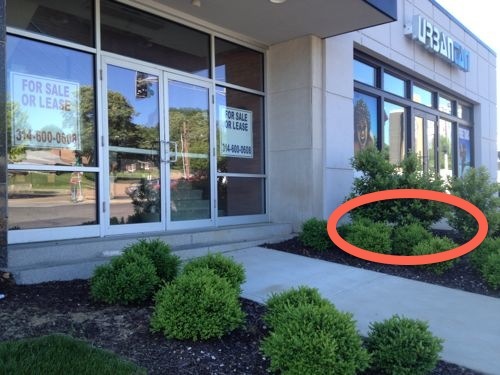 During the construction work a few years ago someone made a decision to not follow the architect’s design, resulting in lack of ADA-compliance. The owner’s representative indicated the building remains vacant, and they aren’t interested in making changes. If only they’d followed the architect’s plans there would be no problems gaining access into the building from the public sidewalk. Four people were shot to death after an apparent murder-suicide inside a Cherokee Street building Thursday afternoon. What we must all remember is there are unstable individuals everywhere who settle disputes with guns. This is not a reflection on the people who live or work in the area where these individuals snap. 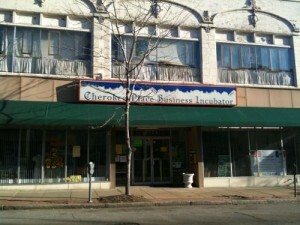 I have seen Cherokee Street blossom in the 23 years I’ve been in St. Louis. One of my first jobs upon arrival was working for an antique store east of Jefferson, almost nobody went west of Jefferson in 1990. This doesn’t change my positive view of Cherokee. The suburbanites reading this may think this is another city shooting and that these types of things don’t happen in their community. Again, these things happen everywhere. The shootings happened Monday morning in the 700 block of Hawbrook Road, in Glendale, Missouri a wealthy suburb about 10 miles west of St. Louis. I sat at their breakfast table just a couple of years earlier! Do his actions put at black eye on Bopp Rd? No, these things happen everywhere. Wealthy neighborhoods don’t have immunity from senseless tragedy. The families of yesterday’s victims have my deepest sympathies. Architecture in St. Louis has grabbed my attention since that first day I drove in on I-44 from Oklahoma, that was in August 1990. 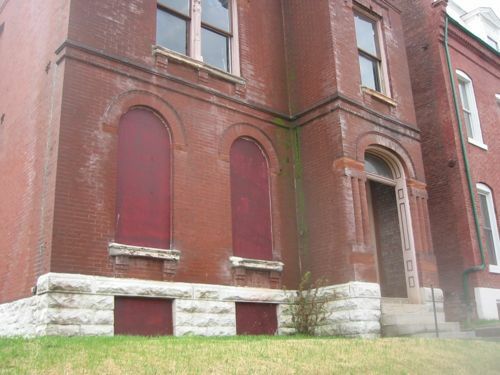 In March 2004 I attended a Rehabber’s Club meeting with a good friend, architect Dustin Bopp, in the Benton Park West neighborhood. Afterwards I walked across the intersection to admire a boarded up house on a large corner lot. 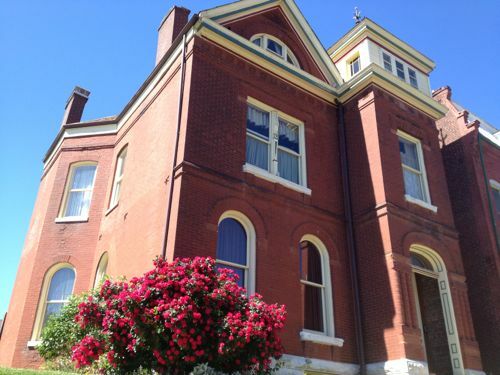 It was built in 1887. 27xx Wyoming on March 27, 2004. Beautiful, I thought. I could see past the boarded up first floor windows and the moss growing on the brick in the corner, imaging it when new and how it might be again someday. Life moved on and I forgot all about this house. Then a few months ago I stumbled across the above photo on my computer and I wondered what became of this home. Was it torn down? 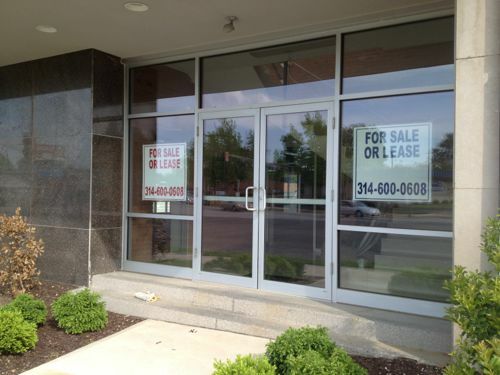 Still vacant & boarded? Occupied? I found out online that work began less than a month after I saw the house and in 2006 it sold to the current occupants. Last week I finally got by to see it again. Magnificent! 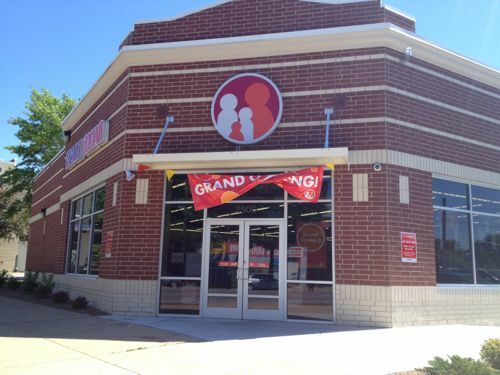 A good number of those 500 new stores seem to be in St. Louis, I’ve spotted new locations next to Jefferson Commons, Grand @ Magnolia and now Jefferson near Gravois. 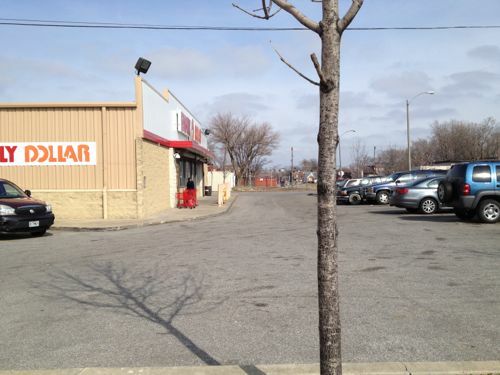 New Family Dollar entrance doesn’t face Jefferson & Victor. So what does their typical new construction look like? Not much architecturally, with little to no connection to the sidewalk. 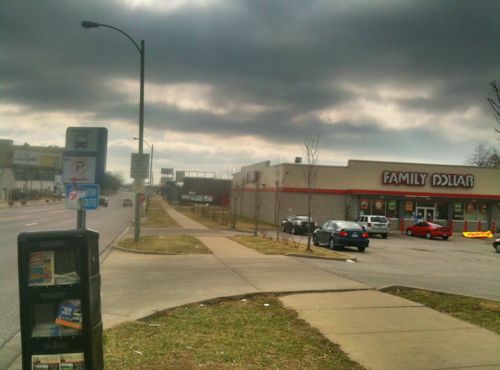 Family Dollar at 6000 Natural Bridge, built in 2006, has no connection to public sidewalk. Click image to see my post from March 2011. When building these two stores in 2006 & 2007 they used a pretty auto-centric approach and the cheapest materials. 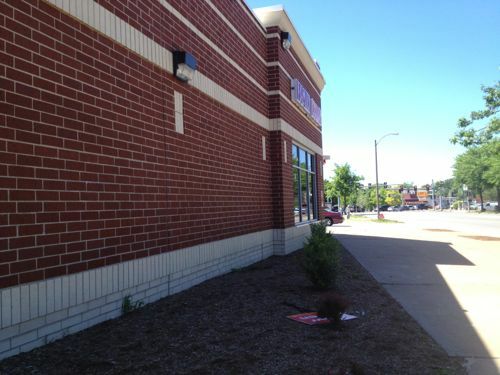 Now let’s take a look at the south Jefferson location where they built their newest location, starting with the Burger King that occupied the site for years. North side of the former Burger King facing Victor St. 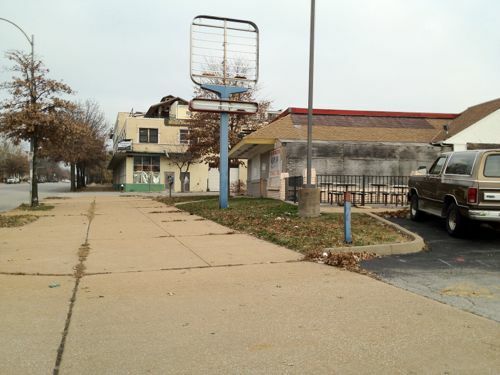 The Burger King was a typical suburban design in what was previously an urban location. Years of chipping away at the urban fabric devalued the urban experience, but money was made. That is, until it got old, then the money stopped flowing. 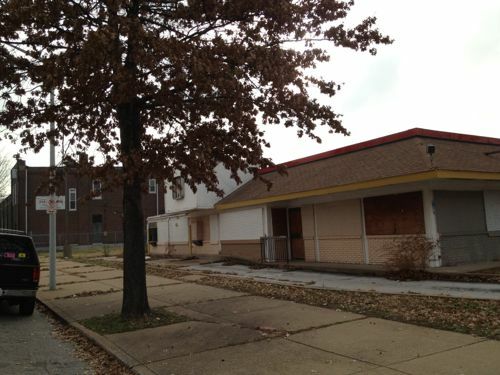 Uses for former fast food restaurants are limited, often to check cashing places or other businesses that could care less about the city where they are located. Okay, back to the site on Jefferson. 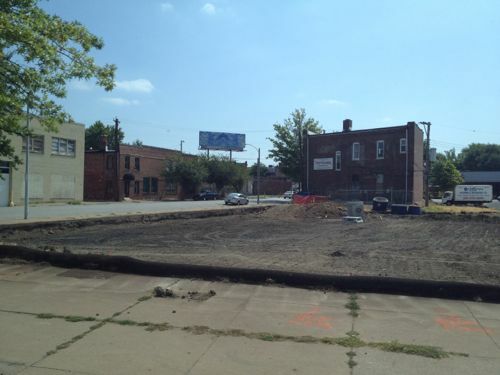 By August 2012 the site was back to bare earth. 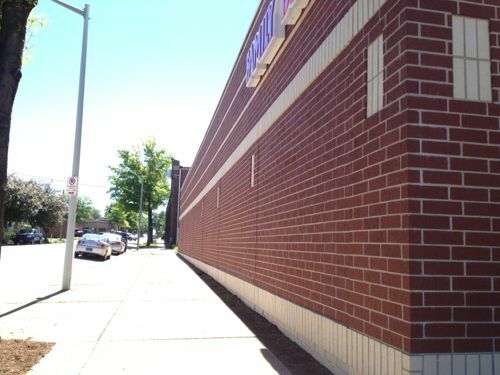 The north side facing Victor St has a red brick veneer, but no doors or windows. 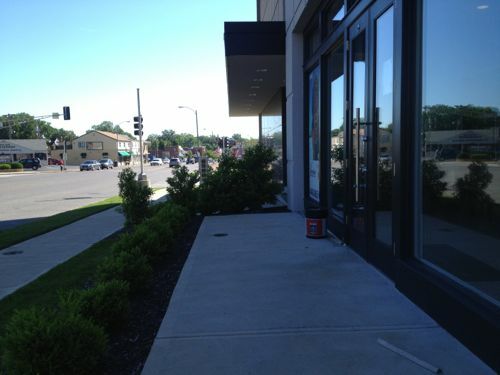 The Jefferson facade is narrow, doesn’t come out to the sidewalk, with blank walls at the intersection. New buildings must be constructed within 15 percent of the average height of existing buildings on the block. Any additions must be compatible with both the existing building and the surrounding structures. The scale of all proposed new construction in the Corridor must respect the existing scale of any surrounding historic structures by seeking to minimize the difference in height, mass, fenestration and location. Any additions must be compatible with both the existing building and the surrounding structures. 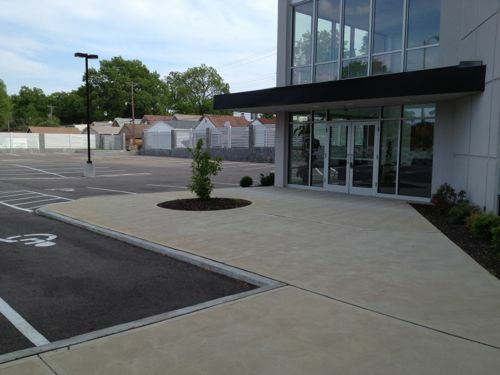 New or moved commercial structures shall be positioned on the lot to not only enhance the character of the commercial location but also to be compatible with the surrounding streetscape. Any additions must be compatible with both the existing building and the surrounding structures. All new building materials shall be compatible in type and texture with the dominant materials of adjacent buildings. While artificial masonry such as “Permastone” is not permitted, introduction of new materials for new construction will be considered. A submission of all building material samples shall be required prior to approval. Any additions must be compatible with both the existing building and the surrounding structures. Details on new structures should be compatible with the surrounding built environment. Any additions must be compatible with both the existing building and the surrounding structures. The code is 41 pages of text! Not a single diagram to illustrate what is desired, or what is discouraged. Lawyers might like to read written code, but those trying to design to codes are often visual learners. The general public can benefit greatly from diagrams, increasing understanding. If someone wanted to build a 5-story urban/mixed-use building on this site, it wouldn’t be allowed because it would be greater than 15% above the few 1-2 story buildings on the block. 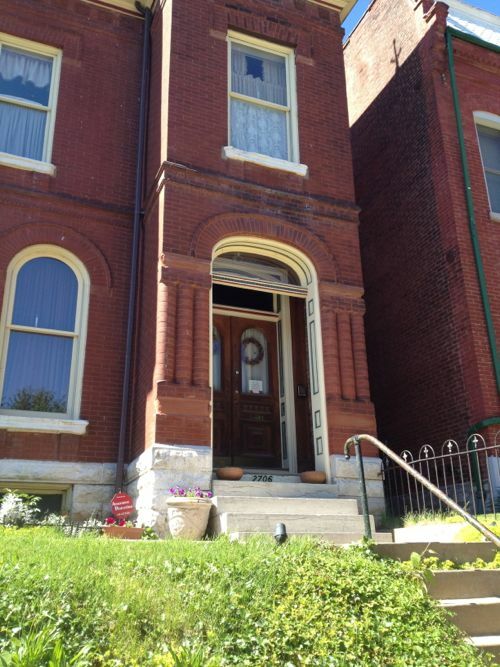 Never mind that we have 2 story buildings next to 5+ story buildings in many historic neighborhoods. 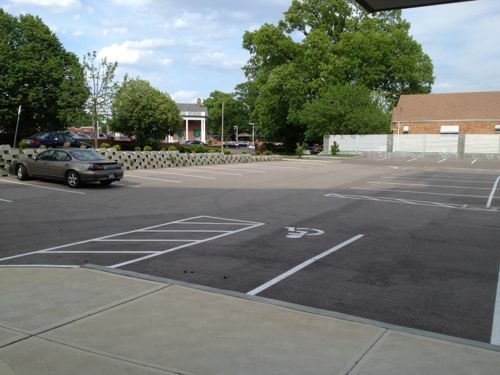 Increased density, if allowed, not required, would be good for area businesses. The code is too general: compatible, respect, and enhance are all subjective terms. 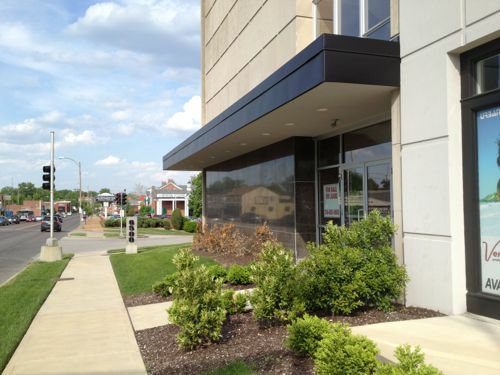 Form-based codes, for example, deal with issues such as width of the building facing the primary street, more building should’ve faced Jefferson. I’m very glad this code is in place, but I’d like to see it and others improved. Every once in a while I run across a blatant ADA violation, usually when I’m trying to go somewhere in my daily life. This one I discovered purely by accident, while looking for a neighboring property on Google Street View. 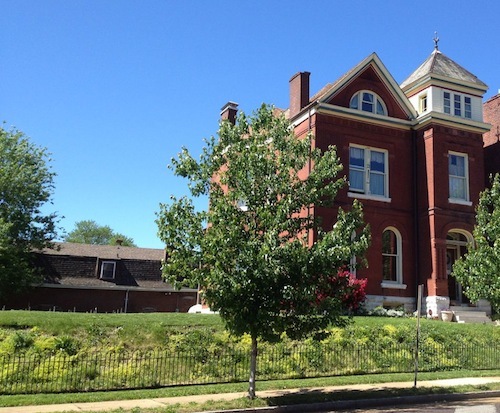 Owners of the vacant St. Louis Hills Office Center at 6500 Chippewa Street last week received preliminary approval from the St. Louis Board of Adjustment to do interior and exterior renovations on the five-story brick building. 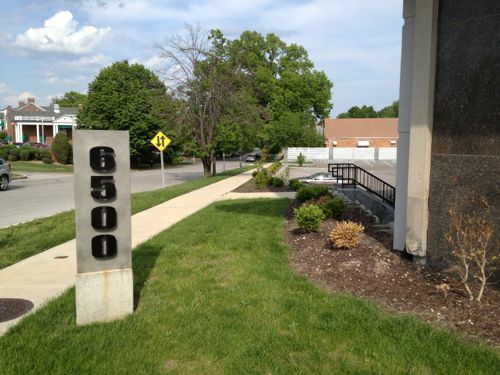 In meeting with neighbors, they also have resolved some, but not all of the concerns of surrounding residents about traffic, parking and other issues. The St. Louis Hills Medical Center facade facing Chippewa St.
A few years ago a deteriorated wing was removed and new entry created. The new entry is accessible if you arrive by car and park in the parking lot. 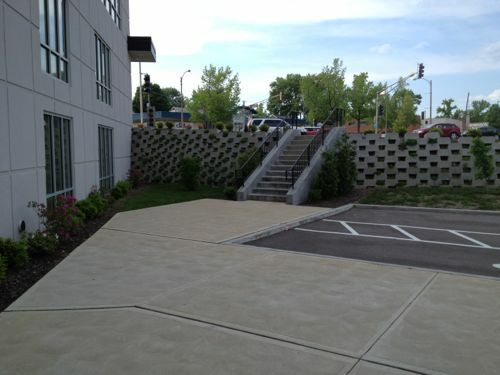 A route was provided for pedestrians to enter the building, but it contains a flight of stairs. 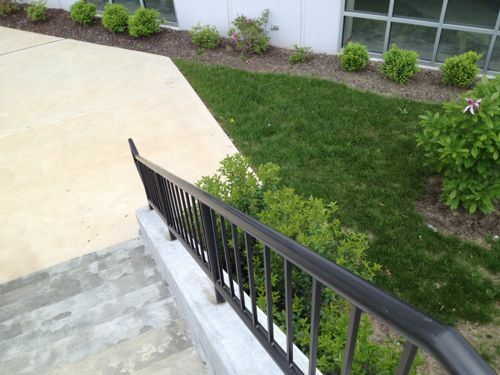 No ramp was provided as required by the ADA. 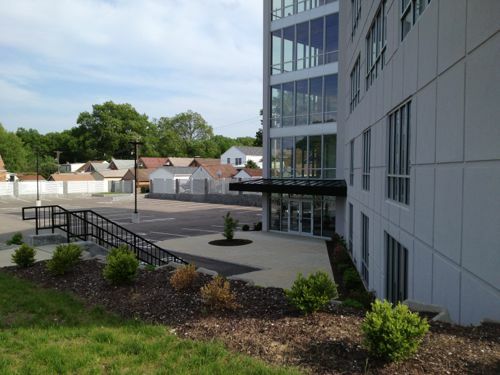 View from entry across parking lot to automobile drive off Bancroft Ave. In case you missed it, the problem is the provided pedestrian route isn’t accessible to everyone. If a pedestrian entrance is provided, everyone must be able to use it. Presumably a licensed architect was involved in this project, their errors & omissions insurance may be paying for a ramp.